Matte artisan made lampwork focal bead in orange, purple and black with silver flecks. 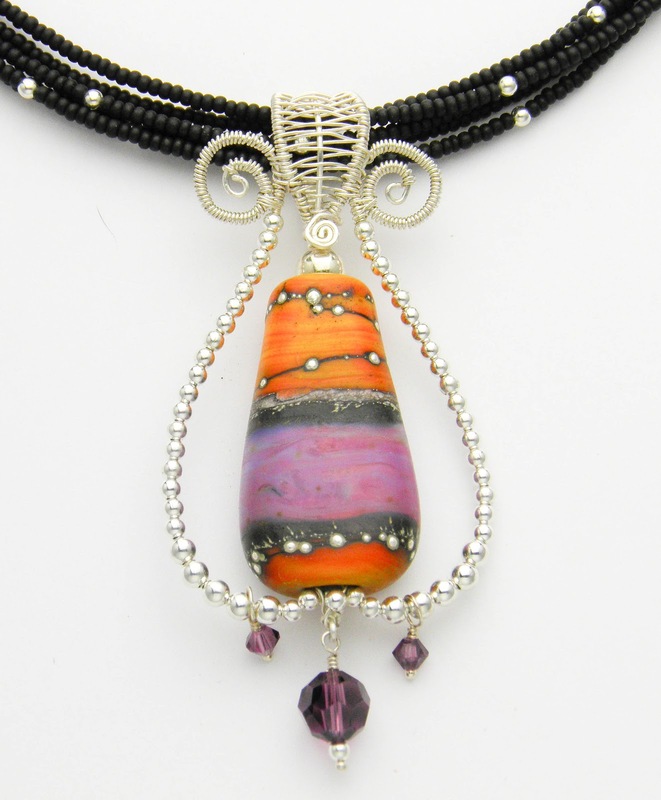 Wire woven frame of sterling silver wire and beads with purple crystal accents. 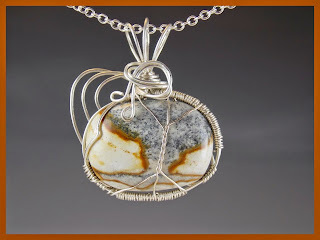 Hangs from a matte black and silver bead multiple strand necklace that measures 18". 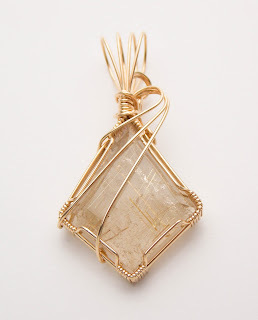 Gorgeous wire wrapped pendant of a kite shaped gold rutilated quartz sculpted in 14k gold filled wire. 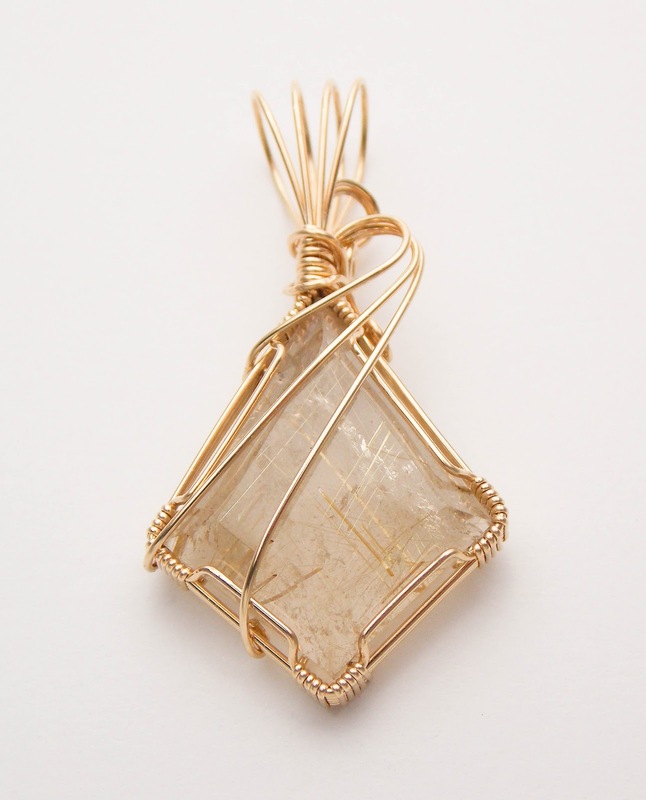 Very elegant, the gold wire accentuates the gold rutiles in the quartz. This can be worn with anything. 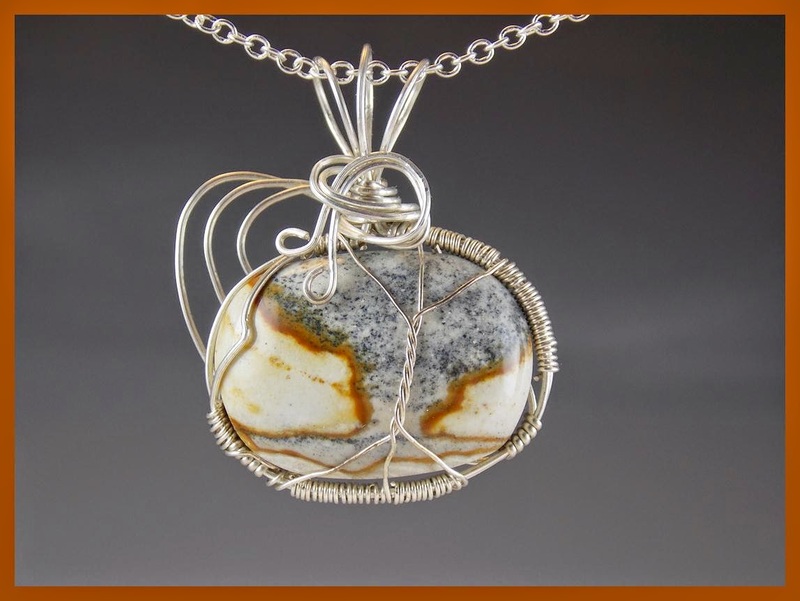 It is completely neutral. 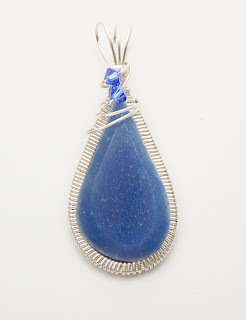 This pendant measures 1 7/8" long by 1" wide and the bail will fit on chains of 6mm wide or less. Gorgeous wire wrapped pendant of shaded green aventurine sculpted in sterling silver wire round bubble sculpted edge. 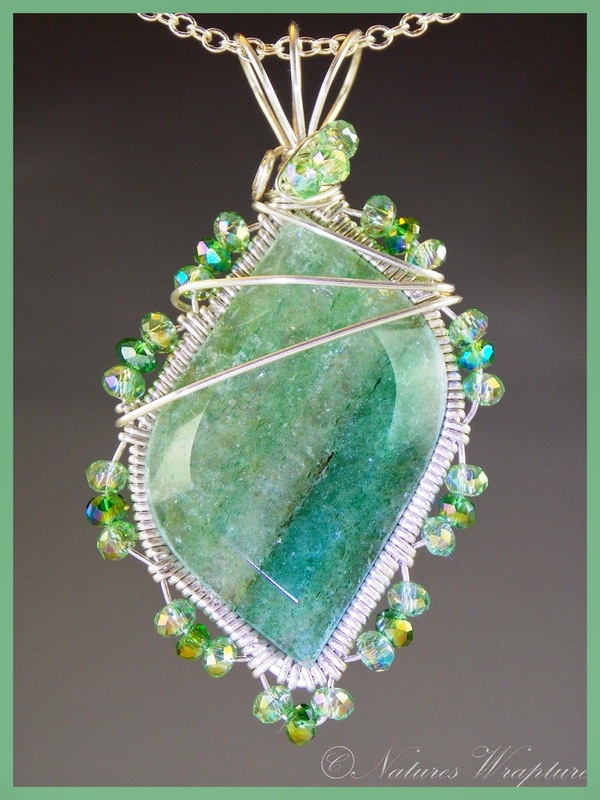 Two light green Swarovski crystals accent the greens of the aventurine cabochon. The cab is shaded from pale green to emerald green. 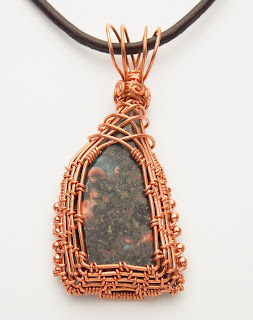 This pendant measures 2" long by 1 1/8" wide and the bail will fit on chains of 6mm wide or less. 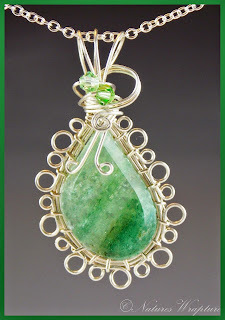 Beautifully shaded green aventurine cabochon wire wrapped pendant sculpted in sterling silver wire, with pale and medium green crystal beaded bezel that brings out the color of the cabochon. This pendant measures 2 3/8" long by 1 3/8" wide and the bail will fit on chains of 6mm wide or less.